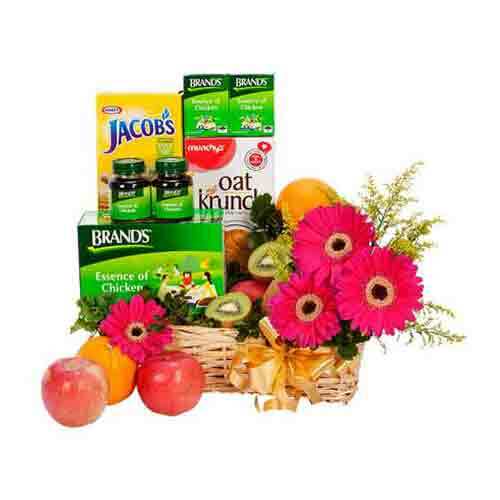 Description: Strengthen the bonds of friendship by gifting your friend this Everlasting Moment with Gourmet Gift Hamper to reminisce the golden times you spent together. 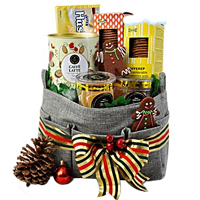 This Hamper will make a lovely X-mas gift as it features a collection of Goteborgs Hushalls Citron Wafers (Net Wt.-180gr. ), Swedish Kafferep Organic Ginger Thins (Net Wt.-170gr. ), Swedish Kafferep Biscuit with Almonds (Net Wt.-160gr. 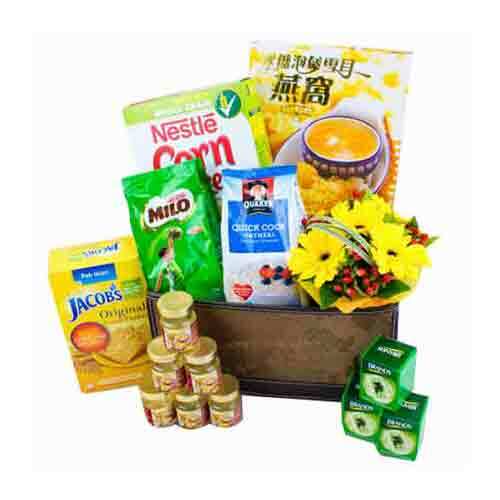 ), Ross Cottage Premium Latte Coffee (Net Wt.-320gr. 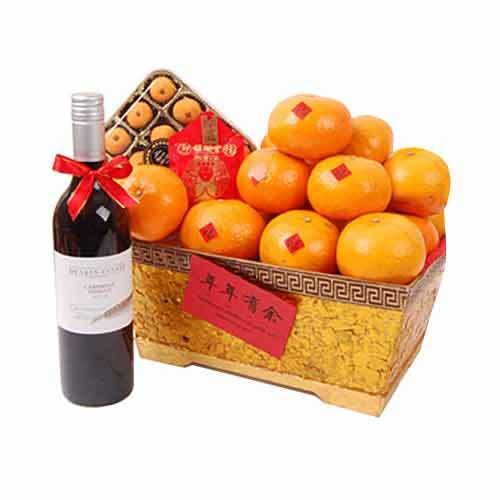 ), Ross Cottage Sweet Apricots (Net Wt.-180gr. ), Ross Cottage Golden Raisins (Net Wt.-338gr.) and 2 pc of Homemade Kroft Assorted Gingerbread. Make someone happy with an adorable Russ Rolly Bear 11, Stargazers and a box of Decadence� Petit Chocolates 4pcs. 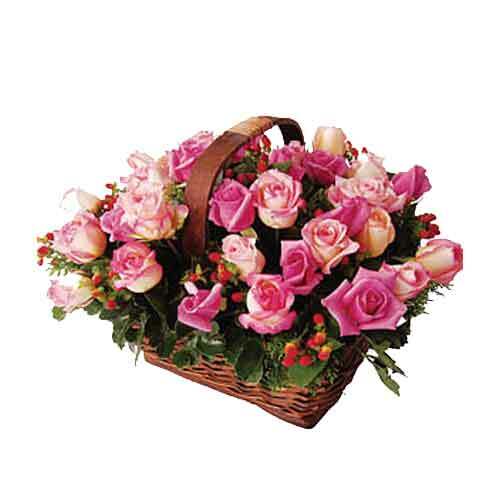 Fresh flower will be replaced with artificial flower for outstation order. 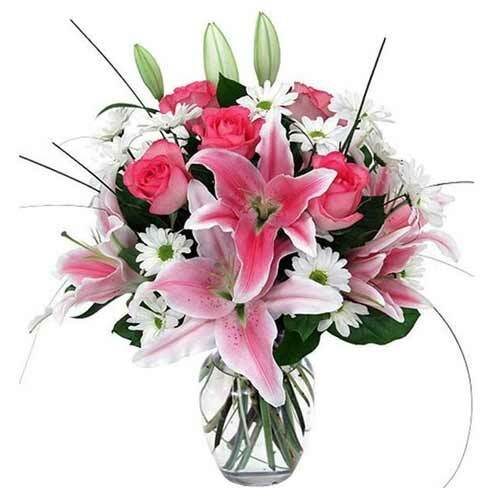 Create some happy moments by sending this Excellent Bouquet of Stargazer Lilies. This special arrangement is nicely mixed with green ferns and decorated with paper.